This compact, convenient and highly functional garden shed was recently installed for a customer based in Lough, Lincolnshire to be used for further external storage space. Designed and hand-built to order at our Norfolk studio, the shed was then both delivered and assembled at the customer's specified address by our in-house installations team. Entirely fabricated from FSC® certified Scandinavian Redwood timber, the shed has a pent roof covered in our heavy-duty, heat-bonded felt and a single access door in the gable end of the building. There is also several windows along the side of the shed, including an opening window to provide ventilation. This particular building sits perfectly in the customer's desired space, placed beside their house and raised-level garden. 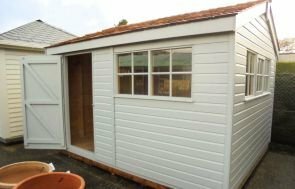 No matter the area or size of garden you have, we are able to design and manufacture one of our Superior Sheds to utilise the space. 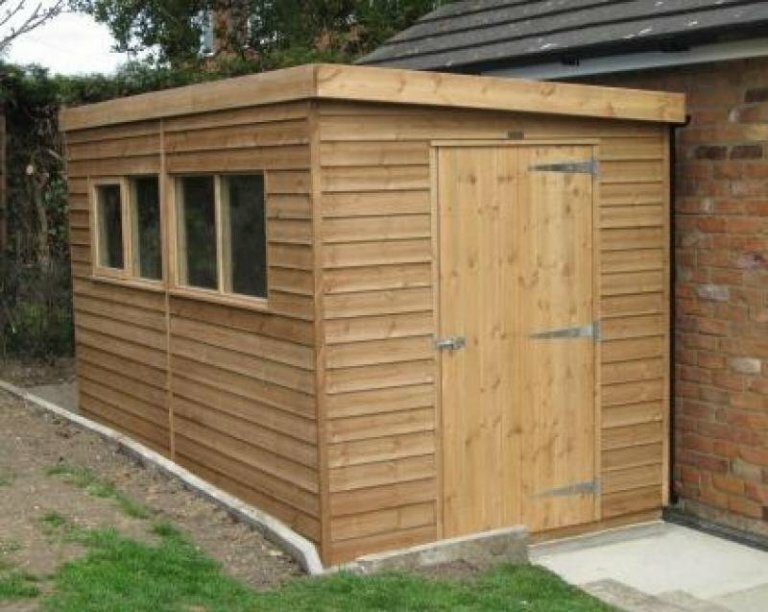 We also offer a range of optional extras with our superior sheds, such as insulation, oak-faced ply lining, security packs and electrics for those who want a year-round workshop. 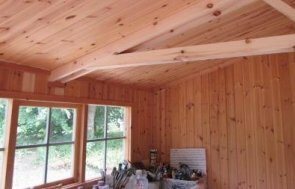 The exterior of the shed is coated in a Light Oak preservative stain, which is just one of the many exterior paint options available and is a popular choice as it allows the natural beauty and grain of the wood to show through. If this Superior Shed has inspired you to consider what we might be able to offer, you can see our range of high-quality products for yourself by paying a visit to one of our show sites, of which we have several based across the UK. At our showsites, you can browse a range of display buildings and speak to a team of friendly advisers who can assist you with any queries you might have. 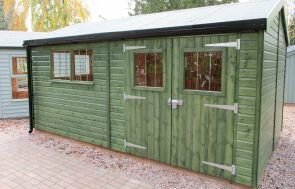 Alternatively, click the link below to view all our garden sheds online.